Workforce Management is a part of every business. Nearly all companies face some common issues like buddy punching, time theft, or payroll errors. As a consequence, companies are bound to look for a cost-effective workforce management solution. Generally, companies face two major challenges with workforce management, including preventing buddy punching and finding an accurate solution to fit their needs. Many companies are also facing issues with inefficient and the high cost of time clocks to monitor employees proactively. Here we will talk about Kronos InTouch Time Clock and RightPunch™ – an alternative to Kronos InTouch Time Clock. The Kronos InTouch time clock is one of the most popular workforce management solutions. It is a seven-inch touchscreen device with a built-in Android OS that supports NFC and Bluetooth. It also supports varieties of languages including Chinese, Dutch, English, French, German, Italian, Japanese, Korean, Polish, Portuguese, and Spanish. RightPunch™ is an affordable biometric time clock software that is highly effective in eliminating time theft, payroll errors, increase accountability and boost productivity. Biometrics and/or employee ID entry compatible. Supports multiple biometric modalities including fingerprint, finger vein, iris, and face recognition. 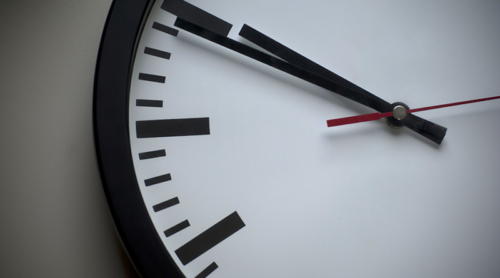 The most important part of a biometric time clock software is the accuracy. It has to provide highly accurate data and produce results. Companies depend on this system to prevent problems like buddy punching, time theft etc. So, accuracy gets the highest priority for time clock system. As like Kronos InTouch time clock, RightPunch™ also provides accurate data to measure employee data quickly and accurately. Some time clock software can be very expensive and hard to afford, especially for smaller and new companies. It makes no sense to spend a large amount of money in time clocks that could otherwise be used in other high priority sectors. For example, if you have 20 branches with less than 15 employees in every brunch, it will not be a cost-effective solution to buy expensive time clocks to support all of the branches. RightPunch™ is a very affordable solution that has no expensive yearly maintenance contracts, or substantial license fees. Sometimes employers have issues with some biometric modalities for a variety of different reasons. Some do not want to use a fingerprint scanner, some do not feel free to scan their face, or someone is simply physically unable to perform biometric verification process. This is why multimodal biometrics is a plus point for any company. It is an essential and convenient tool for several aspects. RightPunch™ offers multiple biometric modalities including fingerprint, finger vein, iris and face recognition. Some time clock software needs robust programming skills to be implemented. Often this requirement becomes a burden for smaller companies as they have to hire someone to do the job. 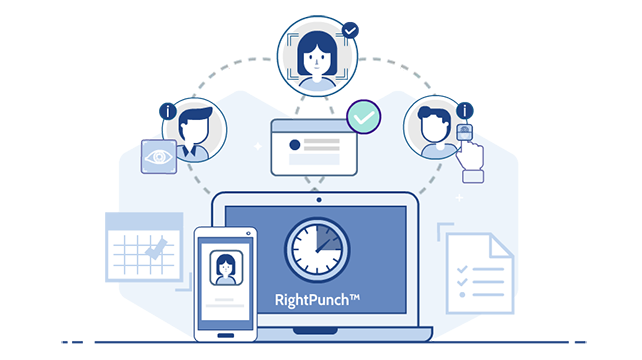 RightPunch™ is easy to integrate and supports popular workforce management solutions including Kronos and ADP. The necessity of biometric time clock solution is growing day by day. Since there are many solutions for biometric time clock in the market, it is quite confusing to select the best product. If you are looking for an cost-effective alternative to Kronos InTouch time clock, RightPunch™ is surely on the top of the list. To learn more about this solution, visit the official webpage of RightPunch™.